Robert J. ‘Bob’ Venn, Sr.
CHAMPION, MI – Robert J. 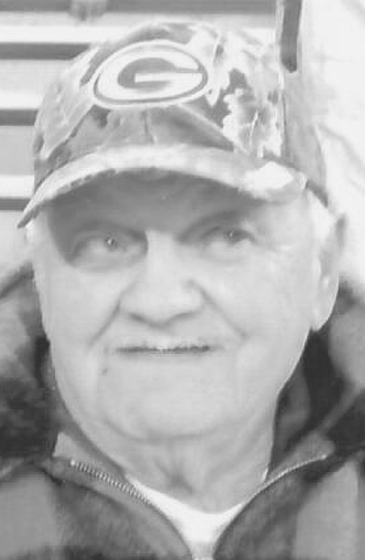 “Bob” Venn, Sr., 85, longtime Champion resident, passed away on Wednesday, November 7, 2018 while in the loving care of family and staff members while at Marquette County Medical Care Facility. Robert was born in Republic, Michigan on May 28, 1933, a son of the late Gladys (Mukari) and Camille Venn. He worked as a Heavy Equipment Operator at the Marquette Co. Road Commission for many years, retiring in 1976. Bob was an avid Green Bay Packer Fan. He enjoyed hunting and fishing along with picking pails of apples in the fall months for the deer and his famous apple pies. Bob served as the Camp Host at the Squaw Lake Campground during the summer months for 20+ years. Robert is survived by his wife, Sharon Burnette-Venn of Ishpeming; daughters – Judy Venn (Steven Antilla) and Penny Miettinen all of Republic; sons – Robert Venn Jr. of Republic; Ray (Dana) Rosten of Clinton, IL; sister Lillian Starkey of Ishpeming; sisters-in-law – Dianne Sirtola Donna Venn both of Republic and Darlene Chrysler of Brighton; brother-in-law Ernie Piirto of Negaunee; grandchildren – Suzy Prodell, Robert Fields, Hilary Venn (Mike Stampee), Elizabeth, Kelsey and Paige Kuppin, Andrew, Brian (Sam) and Timothy Rosten; great grandchildren – Tyler Argall, Tanner Westphal, Melinda Perry and Leslie Johnson; along with numerous nieces and nephews. Bob was preceded in death by his first wife Joan (Sirtola) Venn, an infant son; daughters – Susan Fields and Patty Venn; son-in-law Jerry Fields; brother Paul Venn; sisters – Rosemary Venn, Bernice Usitalo, Lois Ringuette, close friend Robert LaForge along with nieces and nephews. The family will greet relatives and friends at the Bjork & Zhulkie Funeral Home on Sunday November 11, 2018 from 1:00 – 2:00pm, where a Memorial Service will follow at 2:00PM with Sister Margey Schmelzle officiating. Bob’s obituary may also be viewed at bjorkandzhulkie.com where relatives and friends may leave a note of remembrance.